Over the past week I have been working with one of my asset protection clients developing a strategy for him to minimize his risk. He is a commercial real estate entrepreneur with a fairly large 8 figure net worth. Every time I work with successful entrepreneurs like him I can feel my optimism growing. 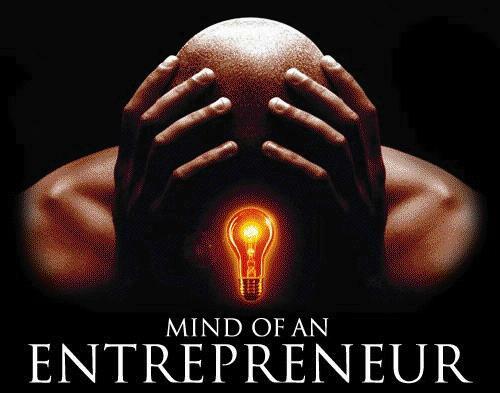 The world truly revolves around entrepreneurship. You are the dreamers, visionaries and ultimately the creators of economic growth and prosperity. You are then ones responsible for constantly improving the welfare of the billions of inhabitants on this planet. So while I may seem doom and gloom at times, it is all in an effort to awaken you to some of the harsher realities in today’s world. Truth be told, I am an eternal optimist. I guess you could say I am bullish on the ingenuity and creativeness of entrepreneurs, but very bearish on governments and politics in general. Lon Fuller argued that in order to create and maintain a system which can properly be called a ‘legal system’; a certain procedural requirement should be satisfied. These are (1) that there should be rules in the first place as opposed to ad hoc judgments; (2) those rules must be made known to all those affected by them; (3) rules should not have retrospective effect; (4) the rules should be understandable and; (5) consistent and; (6) should not require the impossible of people; (7) the rules should not be changed so frequently that people cannot orient their actions by them; (8) the rules as announced should coincide with the actual administration of those rules. Fuller claims that the absence of any of the 8 basic premises of a legal system do not just result in a bad system, but no legal system at all. America was established as a place where people could come to be free from overzealous governments, religious persecution, and economic constraints. America was founded as a Republic; or rule by law. If you take a look at just the US tax code, we are failing miserably with our legal system. Regardless of the failure of the political machine in America, I am very optimistic about the future. If there were an option trade to be made here, I would be buying calls on entrepreneurship and puts on stupid statist political agendas. Right now is the best time in mankind’s history to be an entrepreneur. I’ve said it many times; ‘Where Turmoil Exists, Opportunity Persists’. With the explosion of the internet, you can now work from anywhere in the world. Just five short years ago, it was very, very difficult to earn a living online. Today, the opportunities are unlimited. Just this week my 15 year old daughter got a freelance job (using Odesk) working for a clothing company promoting their blog, writing articles, and posting product pictures. I was bagging groceries at that age hoping some desperate housewife would tip me for bringing groceries to her car. A friend of mine, MJ Demarco (author of the book ‘The Millionaire Fastlane’ – highly, highly recommended! ), says that in today’s world it’s all about providing value. While that may seem a bit cliché, most people seem to just want to make money. MJ recommends finding an unfulfilled or under-fulfilled need in the marketplace and adding value. The majority of people today follow the traditional path and just want to find a job that pays money. They seem to forget the part about providing value. (MJ also runs a forum called ‘The Fastlane Forum’ for people looking to connect with other like-minded people). My daughter found a way to provide value to her employer by offering her services. Every day I see opportunities where a need is unfulfilled or under-fulfilled and providing value in this marketplace could give you freedom from the traditional 9-5 life. Here in Eastern Europe, I have noticed that nearly everyone either speaks English or wants to. Of course the best time to learn a language is when you are a child, so an English language pre-school would be ideal. I’ve yet to find one. They may exist, but they are few and far between. Need? Check. Value? Check. A business associate of mine runs a law firm in Panama. He has found that Americans are becoming more and more leery of the US financial system. He has negotiated a deal with a credit union in Panama to accept US clients (very few accept foreigners). This credit union pays 4% interest on basic savings accounts and up to 9% on retirement accounts. If you put $100,000 in a retirement savings account today and added $10,000 per year for the next 20 years, you would end up with over $1M. Keep in mind, this is held in cash, no risky investments – no stocks, bonds, options, real estate, etc. – only cash. Where else can you get 9% a year risk free? Did I mention there has never been a credit union failure in Panama? Ever! (If you would like a free introduction to my lawyer friend, email me here and mention Panama credit union in the subject line). Need? Check. Value? Check. Another friend of mine, Jason, found there was a sever lack of quality in the investment research business. He found there were a lot junk newsletters written by inexperienced traders and investors. So Jason decided to find some of the top traders in the US with a long and verifiable track record of success and publish their research. I am personally using one of his publications with much success (click here if you want to watch his free intro video). For those of you that have chosen to live an expat life, you know that your ability to earn a living abroad was a very critical part of that decision. If you have the knack for trading, this becomes a viable option for work. I am personally using Chuck Hughes’ research. I have been an options trader for several years. Chuck’s trading methods are very similar to my own, and I have learned a lot about minimizing my own risk and maximizing gain using his options strategies. For me, this was an investment in my trading education. Yesterday I made a trade using his recommendation (by the way, I don’t make blind trades on someone else’s recommendations – I always do my own research to verify). For every $5800 I put into the trade, my maximum gain was $796 and my maximum loss was $170. This is for a maximum of a 9 week holding period (basically 2 months). If it reaches max gain, this is over 82% annualized return. If it reaches max loss, this is about a 17% annualized loss. For most traders, this is a very, very good risk/reward ration. If you are interested in learning more, click here to watch Chuck’s free video. Need? Check. Value? Check. Day after day I speak with clients and friends who constantly amaze me at their capacity to reengineer their lives and their businesses to provide more value in today’s marketplace. One friend is taking advantage of recent law changes related to medical marijuana and opening a high tech grow center to supply the local dispensaries. Trust me; he’s not your ordinary farmer – or pothead for that matter. Another friend just emailed me about the difficulty he has experienced in finding long boards (skateboards) in Finland. He has done some research and found there is demand, but very little supply. He is talking to some US manufacturers about importing their product. I provide value (or attempt to anyway) by offering you an alternative insight into the world of economics. I help clients minimize their risk through customized asset protection planning. I also inform you of various opportunities as they arise that can be of great benefit to your quality of life. What is your value proposition? Are you one of those people that just want to make money, or are you truly looking for ways to add value to the lives of others? What are you doing today to improve upon what you did yesterday? A few of your links don’t work. The one in this article about “Jason’s Video” on trading. Another one I tried but am too tired to remember. That article is 6 years old. Things change.